If you have been injured in an accident caused by someone else’s negligence, you likely have a number of questions regarding your options for seeking financial compensation. Answered below are the Boise personal injury frequently asked questions that we get asked the most often. Anyone who has been injured due to the negligence of another person, business, or government entity can file a personal injury lawsuit seeking financial damages for their injuries, expenses, and losses. Negligence is the legal term for fault, and it applies when someone—whether due to action or inaction—causes another person to become injured. What is the Idaho statute of limitations for personal injury claims? You have two years in which to file a personal injury lawsuit after the date of your injury. There are exceptions to this, such as if you did not immediately realize that you were injured. To determine if you can file past the two-year limit, consult with a personal injury attorney. Instead of paying a retainer to hire an attorney and then paying an hourly rate, personal injury attorneys receive a percentage of the damages that are recovered. This means that you pay nothing up front and that if you don’t receive a settlement, you would then pay nothing at all. Can I file a personal injury claim if I was hurt at work? In many situations, workers compensation will be the only option available. However, if a third party was to blame, you were exposed to a toxic substance, malice was involved, or your employer doesn’t carry workers compensation insurance, then a personal injury lawsuit becomes a valid option. Not without first having a personal injury attorney review the offer. The insurance will try to pay you as little as possible, so you’ll want to be sure that all of your current and future expenses and losses are accounted for in the settlement offer. Can my personal injury claim settle out of court? Whether court becomes necessary to settle your personal injury claim depends entirely on the other side’s willingness to take your claim seriously and make a fair settlement offer. A trial will only be needed if full compensation cannot be reached through out-of-court negotiations. The aftermath of any injury or accident is bound to be a confusing and stressful time. Above all, you need to know whether you have grounds for a case and how much your claim could be worth. The insurance company and opposing attorneys will only try to take advantage of you, so it’s essential to have legal counsel of your own. 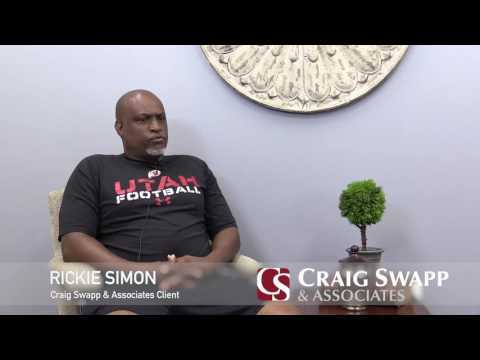 Craig Swapp & Associates will be happy to answer any questions that you have, discuss the details of your case, and make a recommendation on how you should proceed. To make an appointment for a free, no-obligation consultation, call us at 1-800-404-9000 or complete the contact form below.